Former Leeds United boss Neil Redfearn is unhappy that Sheffield United will kick off before the Whites in their next three games. Leeds took full advantage of Sheffield United being held to a draw by Millwall on Saturday by beating Sheffield Wednesday to build a three-point lead over the Blades in second in the Championship table. Just four games remain to be played, but Sheffield United will be able to put big pressure on Leeds before three of those Whites matches as they are in action first. On Good Friday, the Blades kick off at 12:30, while Leeds play at 3.00. Then on Easter Monday, Sheffield United play at 3.00, while Leeds are in action at 5.15. Then Sheffield United play a full day before Leeds when they step out on 27th April. Former Leeds boss Redfearn does not believe the situation is fair and feels both sides should be kicking off at the same time. But nevertheless, Redfearn is sure Sheffield United will be feeling the pressure. "I don't think it's fair, if I'm honest", he said on BBC Radio Leeds after the Whites' win over Wednesday. "It is an advantage as if Sheffield United get a result it puts pressure on Leeds. 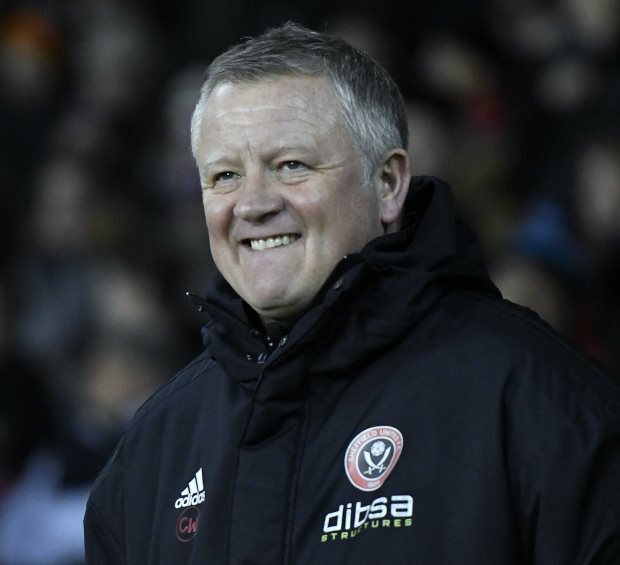 "But if you look at the reverse, when Sheffield United look at the table they will think 'we really need to get ourselves going now because we've only got four games left to do it in'." Sheffield United next line up against Nottingham Forest on Friday in what is looking like a must-win encounter.